Current: Join the first ever superhero union in C.O.W.L. Join the first ever superhero union in C.O.W.L. What happens when superheroes are no longer the beacon of hope they once were in the eyes of the public? Join Kyle Higgins (Batman, Nightwing), Alec Siegel (Captain America,Avengers), and Rod Reis (Justice League) in their all-new ongoing Image Comics series C.O.W.L. Set in 1960s Chicago, a labor union of superheroes must work together to regain the confidence of the public and ferret out threats inside and outside their offices. Additionally, Reis’ art for C.O.W.L. departs from the traditional superhero-comic-style and was influenced by different time periods and mediums. "The idea is to use some of my influences of 60s' illustration, noir movies, and Graphic Novels from 80s to emphasize the feeling of politics and intrigue,” said Reis. “You will see super heroes in the book, but not the way you are accustomed." 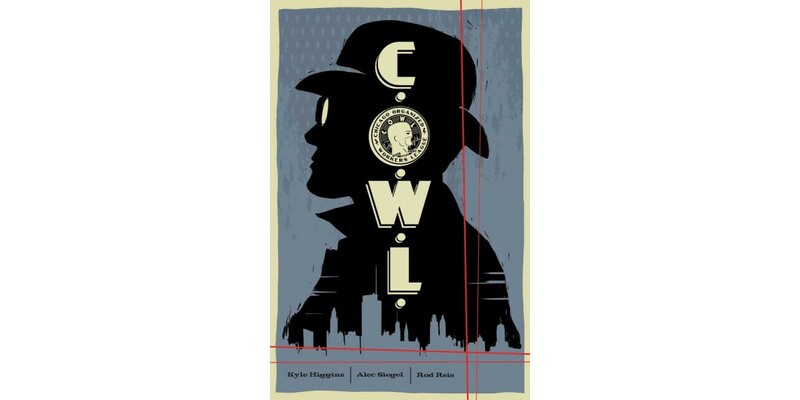 A mystery of history, crime-fiction, and superheroes, C.O.W.L. has something for every reader. The first issue of C.O.W.L. arrives in stores on 5/28 and will be available for $3.50. It can be pre-ordered using Diamond Code: MAR140477.